With the English Civil War won, the Parliamentarians are struggling to hang on to power. But plans are being made to rescue the defeated King Charles from his prison. With Ben press-ganged and put on board a mysterious ship bound for Amsterdam, Polly becomes an unwitting accomplice in the plot to rescue the King. The Doctor can't help because he and Jamie have been arrested and sent to the Tower of London, charged with conspiracy. Can the Doctor and Jamie escape, find Ben and rescue Polly - while making sure that history remains on its proper course? 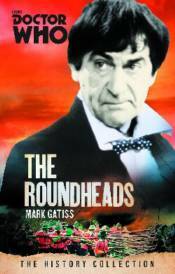 This is an adventure set in the aftermath of the English Civil War, featuring the Second Doctor as played by Patrick Troughton and his companions Ben, Polly, and Jamie.